By FAR our favorite spot on our most recent trip was to Snooze in Denver. 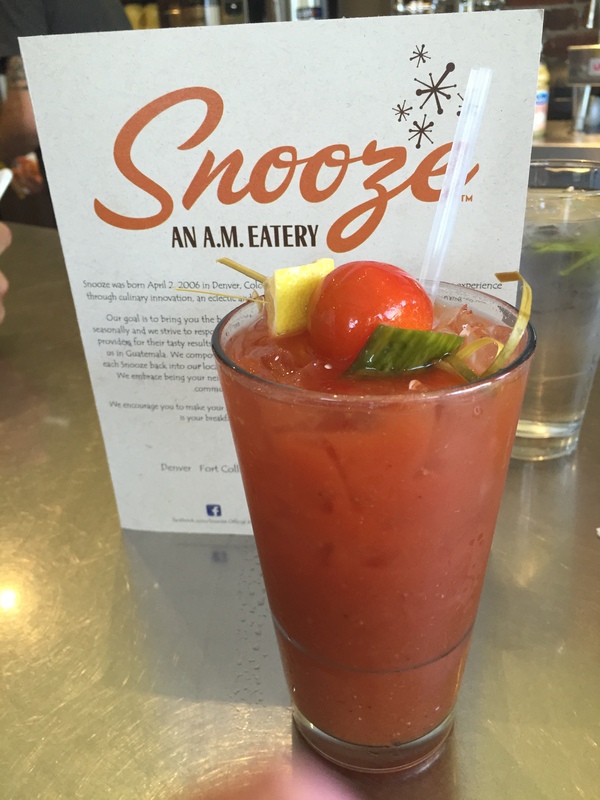 While Snooze was news to me, I found out that have locations in Colorado, California and Arizona… and I’m incredibly jealous we don’t yet have one in Wisconsin. On this trip, I was able to sample two. Had I the time, I would have stayed there and tried them all. 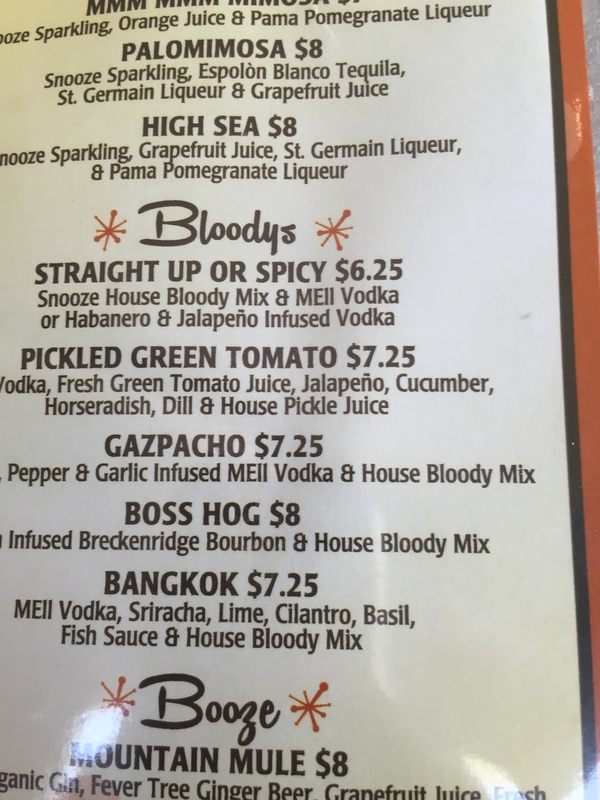 Both of these bloodies were AMAZING. They were so flavorful and unique. I highly recommend them both and I can’t pick my favorite between the two. On top of the fantastic beverage service, the food here was out of this world. 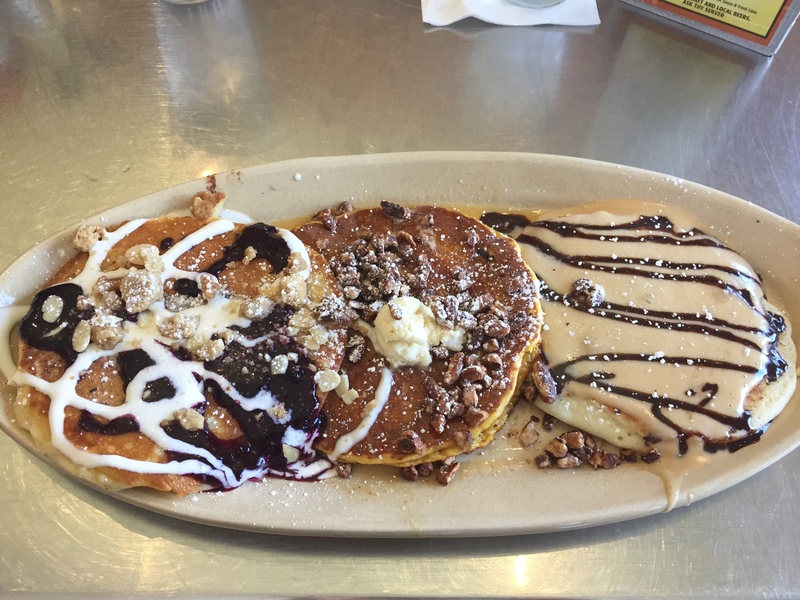 I had a pancake flight… yes, three different pancakes… consisting of Blueberry Streusel, Sweet Potato and Peanut Butter Cup. 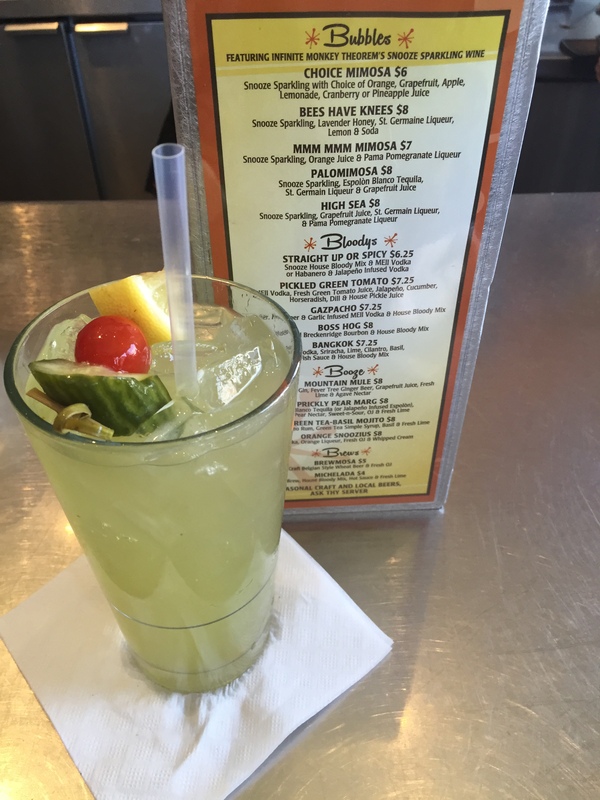 This place is simply a must if you are ever in the vicinity… in this case, if you don’t Snooze, you lose! I will be back!